A claim often made in popular culture is that the Saami people of Fennoscandia and Northern Russia are the last indigenous Europeans. I saw some guy blurt this out on a random cooking show the other day. 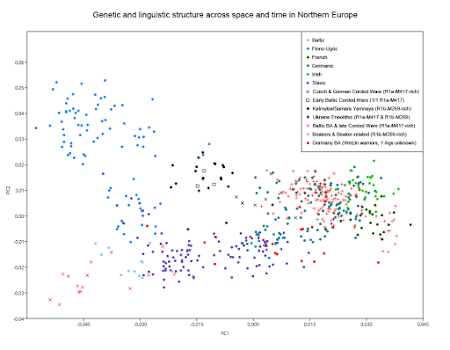 But it's been obvious for a while now, thanks to analyses of modern-day DNA, that the Saami, and indeed almost all other Uralic-speaking groups in Europe, have a somewhat more complex population history than the majority of non-Uralic-speaking Europeans. 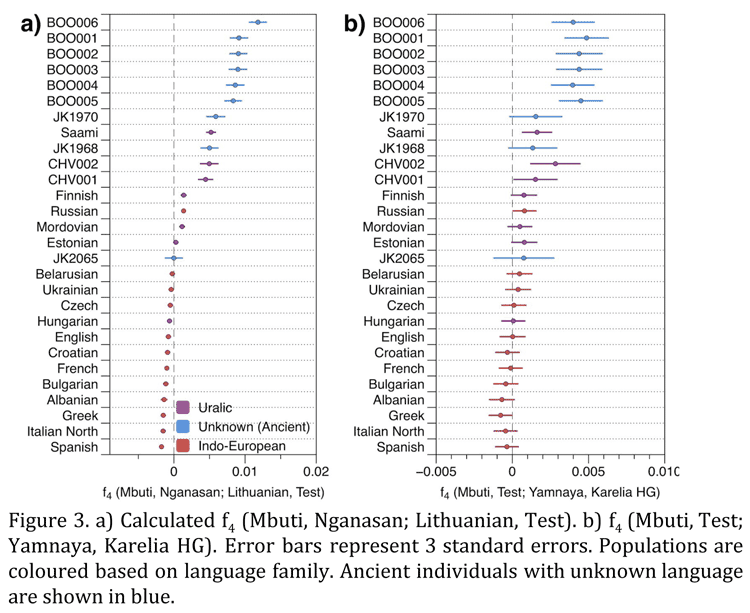 We formally tested for admixture in north-eastern Europe by calculating ​ f3(​Test;Siberian source, European source) using Uralic-speaking populations - Estonians, Saami, Finnish, Mordovians and Hungarians - and Russians as ​ Test populations. 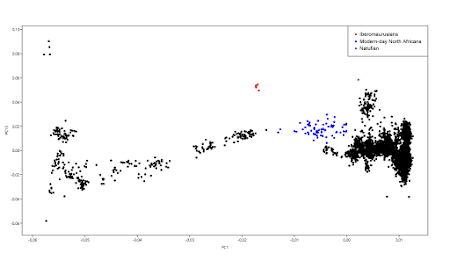 Significantly negative ​ f ​ 3 values correspond to the ​ Test population being admixed between populations related to the two source populations​ ​. Additionally, the magnitude of the statistic is directly related to the ancestry composition of the tested source populations and how closely those ancestries are related to the actual source populations. 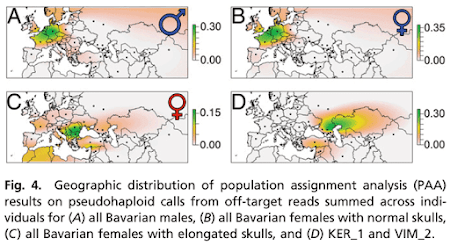 We used multiple European and Siberian sources, to capture differences in ancestral composition among proxy populations. As proxies for the Siberian source we used Bolshoy, Mansi and Nganasan, and for the European source modern Icelandic, Norwegian, Lithuanian and French. Our results show that all of the test populations are indeed admixed, with the most negative values arising when Nganasan are used as the Siberian source (Supplementary Table 3). This generally looks like a very solid preprint, so I don't expect any major changes between now and formal publication. I have to be honest though, the qpAdm analysis looks like crap. 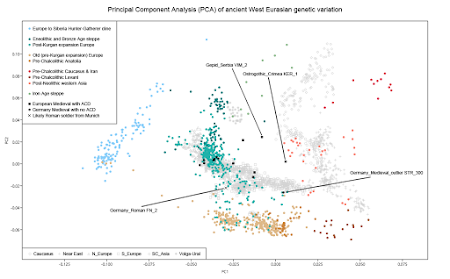 Also, the authors are using the Russian sample set from the Human Origins dataset, which comes from the Kargopol district in Northern Russia. This was actually an Uralic-speaking region until not long ago. No wonder then, that they're inferring that Russians are very similar to Uralic-speaking populations. But I know from my own analyses that there's quite a bit of genetic substructure within European Russia. For instance, Russians from southwest of Moscow are much less Uralic-like than the Kargopol Russians, and indeed very difficult to distinguish from other East Slavs, and even West Slavs. Hence, it might be useful to sample and run a couple more regional ethnic Russian groups for comparison. 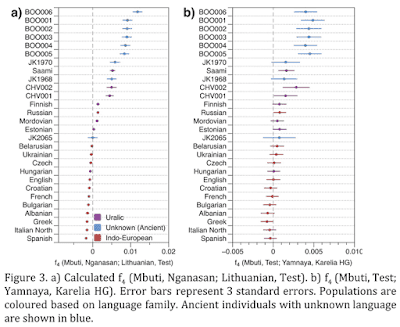 This might help to strengthen the argument that Siberian ancestry is somehow intimately intertwined with the expansion of Uralic languages in Europe. David Reich's book, Who We Are and How We Got Here: Ancient DNA and the New Science of the Human Past, is coming out next Tuesday (see here). Chapter 6 has the potentially controversial title The Collision that Formed India, and indeed I know for a fact that Bronze Age steppe pastoralists, who seem to induce panic attacks amongst a lot of people, and especially Out-of-India proponents, get a big hat tip in this chapter. But I can't really say more than that until after the book launch. So in the meantime, let's focus on this intriguing photo of a messy whiteboard that was published in the New York Times this week along with a feature on the Reich Lab's work with ancient DNA. The version below was edited by me to highlight and fill in a few details. The original can be viewed by scrolling down here. - on the other hand, if, perhaps, the model includes a migration edge from node 1 to B, then this would suggest that Yamnaya-related ancestry arrived in South Asia with a very different population than Andronovo_SE, and possibly much earlier than 1500 BCE, but we don't know because David Reich is (strategically?) blocking that part of the whiteboard. Also worth noting is that there's actually nothing about India in the model. The most proximate region that gets a mention is "Turan/Northern South Asia". So should we be concerned that the supposedly imminent publication of ancient DNA from Rakhigarhi and other Indian prehistoric sites has been pushed back indefinitely, perhaps for political reasons? Normally I'd say no, but in recent weeks I've been hearing rumors that this is indeed the case. - based on historical linguistics data, the Proto-Indo-Europeans are generally regarded to have been foragers turned pastoralists, rather than farmers, but nevertheless, pastoralists familiar with farming, and indeed Ukraine_Eneolithic I6561 appears to be mostly a mixture of Eastern European and Caucasus Hunter-Gatherers (EHG and CHG, respectively), but with around 30% input from early European farmers. Of course, we'll need many more ancient samples from Ukraine and surrounds to cement these findings, and prove, beyond any reasonable doubt, that the Sredny Stog people were indeed the Proto-Indo-Europeans, and that the Yamnaya people were the Late Proto-Indo-Europeans. It might also be necessary to develop new scientific methods that take into account multidisciplinary data to achieve this. Today, Europe’s linguistic landscape is shaped almost entirely by a single language family: Indo-European. Even by the dawn of history, a patchwork of Indo-European subgroups, Germanic, Celtic, Italic, Baltic, Slavic and Greek, was covering the continent, and over the centuries, these subgroups evolved into the modern European languages, among which Russian, Italian, German, Lithuanian and Swedish, as well as the global lingua francas French, Spanish, and English. The Indo-Europeanization of Europe was probably one of the most profound linguistic shifts ever to have taken place in the prehistory of Europe. The origin of the European languages, unsurprisingly, is therefore a matter of intense academic debate. There are currently only two prehistoric events that in the present academic debate are considered as likely driving factors behind the spread of Indo-European speech. One the one hand, there are those historical linguists who by meticulous comparison of the different Indo-European languages have reconstructed a language and culture that is typical of the early Bronze Age. Terminology for horse-riding and wagon technology provides a possible link to the expansion of the Yamnaya culture on the Pontic-Caspian steppes, which was fueled by the invention of the wheel and the domestication of the horse. 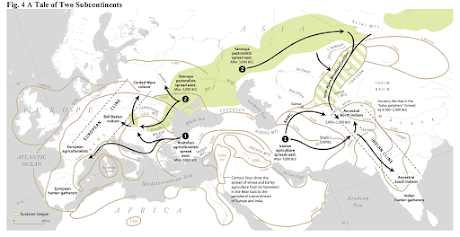 Others have suggested that the Indo-European languages diffused from Anatolia together with another major prehistoric event, the spread of agriculture to Europe between the 8th and 5th millennium. 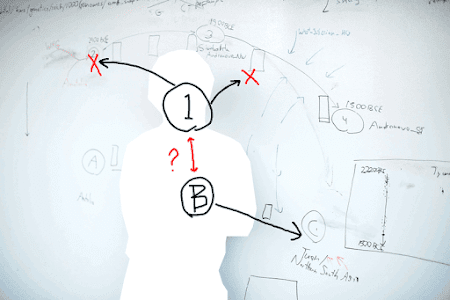 The debate has remained unresolved for over two decades, but a new approach produces potentially decisive results. 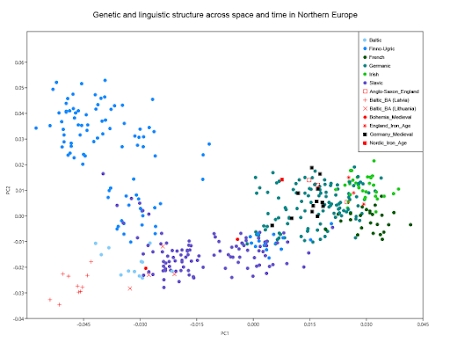 By studying prehistoric loanwords absorbed by the speakers of Indo-European when they entered Europe, and test the resulting cultural implications against the available archaeological record, new light can be shed on the language of Europe’s first farmers, and whether or not they spoke a form of Indo-European. Over at bioRxiv at this LINK. 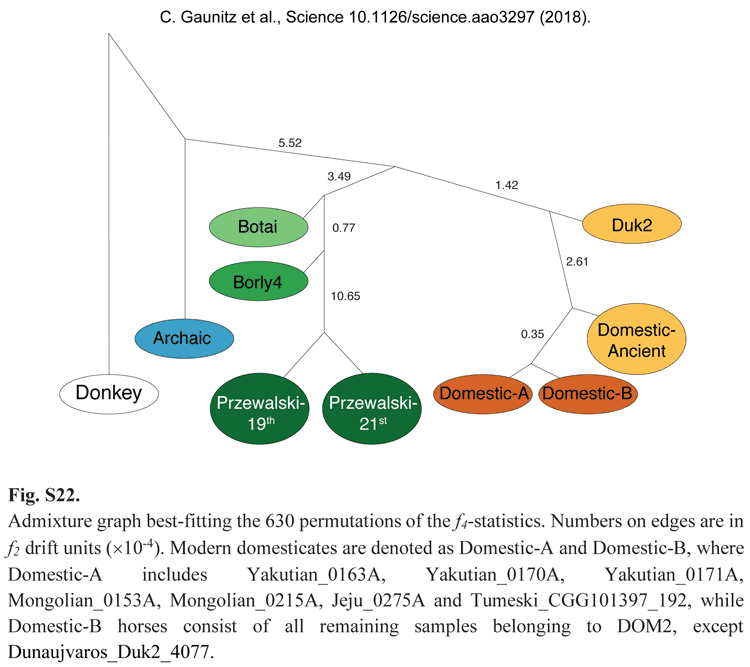 I'm still reading and trying to figure out what the 25 ancient genomes from this preprint say about the peopling of Eurasia and, in particular, South Asian population structure, including the so called Ancestral South Indian (ASI) genetic component. Any ideas? Below are the abstract and Figure 4 from the preprint. 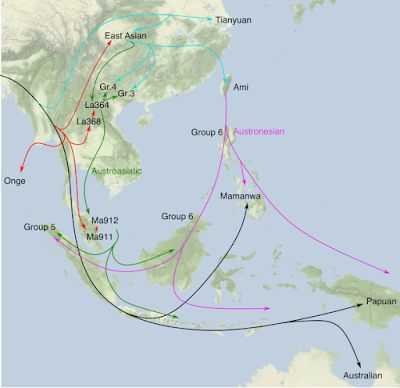 Southeast Asia is home to rich human genetic and linguistic diversity, but the details of past population movements in the region are not well known. 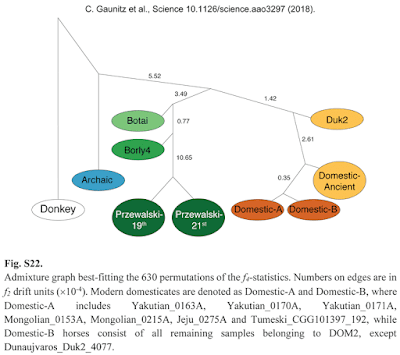 Here, we report genome-wide ancient DNA data from thirteen Southeast Asian individuals spanning from the Neolithic period through the Iron Age (4100-1700 years ago). Early agriculturalists from Man Bac in Vietnam possessed a mixture of East Asian (southern Chinese farmer) and deeply diverged eastern Eurasian (hunter-gatherer) ancestry characteristic of Austroasiatic speakers, with similar ancestry as far south as Indonesia providing evidence for an expansive initial spread of Austroasiatic languages. 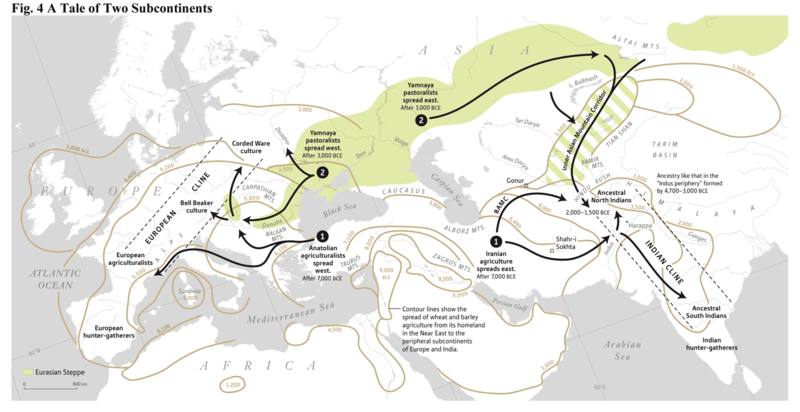 In a striking parallel with Europe, later sites from across the region show closer connections to present-day majority groups, reflecting a second major influx of migrants by the time of the Bronze Age. Thanks to the recent release of the Mathieson et al. 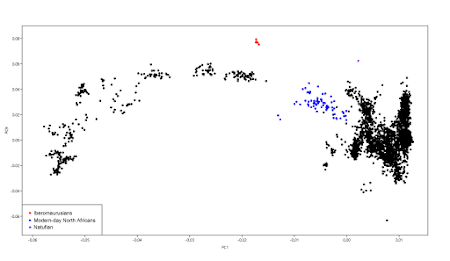 2018 dataset (see here), I've been able to spot a very interesting northwest to southeast genetic cline running from the oldest Peloponnese Neolithic (Peloponnese_N) individuals to the Bronze Age Anatolians (Anatolia_BA). 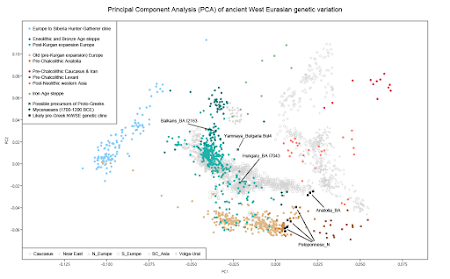 Here it is, highlighted in my Principal Component Analysis (PCA) of ancient West Eurasian variation. The relevant datasheet is available here. 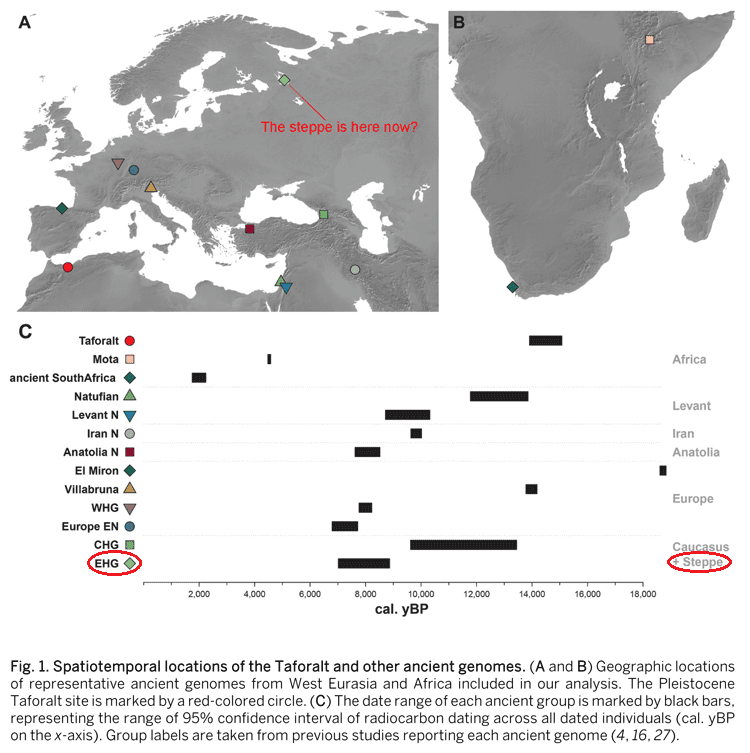 I don't think it's a stretch to assume that this cline represents, more or less, the genetic diversity that existed in the Aegean region during the early Helladic period, just prior to the incursions of Bronze Age steppe or steppe-derived peoples who, according to the current academic consensus, probably gave rise to the proto-Greeks and Mycenaeans (see here). 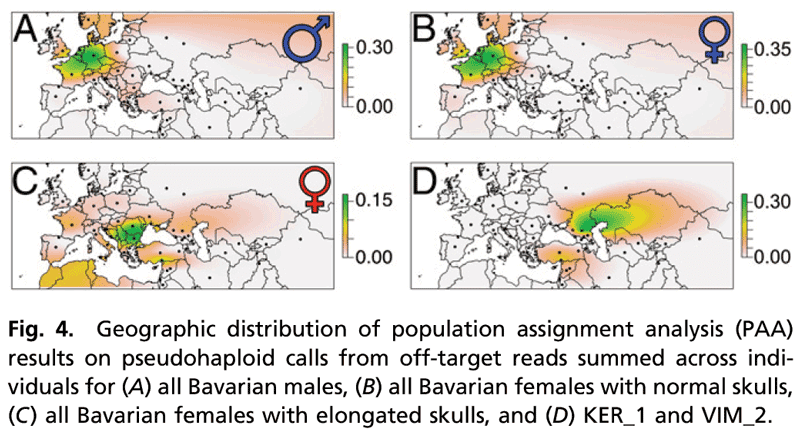 There are three main reasons for this: 1) the Peloponnese_N samples show a very deliberate "pull" towards Anatolia_BA, suggesting that the Peloponnese population experienced admixture from a source similar to Anatolia_BA prior to the Bronze Age, 2) the cline cuts right through the middle of an "Old European" cluster made up of Minoans, who lived on Crete and other Aegean islands on the eve of the aforementioned steppe-derived incursions, and 3) both the Mycenaeans and Minoans can be modeled in large part as Anatolia_BA and Peloponnese_N. The identification of this genetic cline, and what it likely stands for, is important, because it should allow us to plausibly point to the source of foreign input that created the Mycenaeans, and thus the Proto-Greeks. 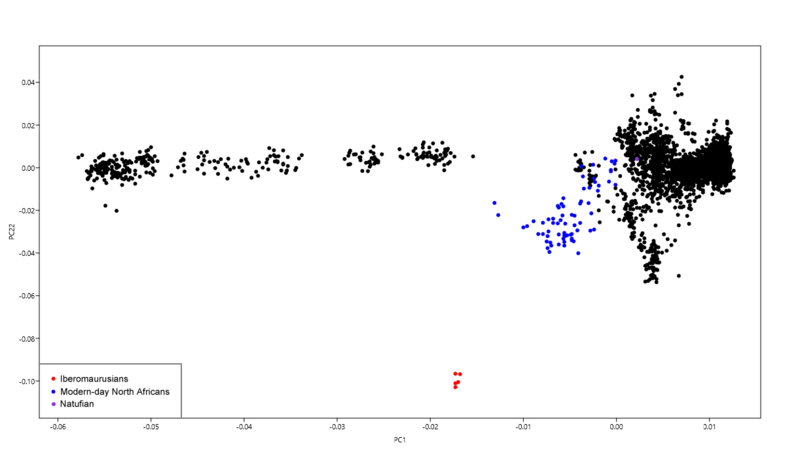 And clearly, the trajectory of the Mycenaean "pull" away from this cline is towards most of the samples marked as "Eneolithic and Bronze Age steppe". However, this doesn't mean that it's necessary, or even sensible, to look for the precursors of the Proto-Greeks amongst these samples. That's because there might be much more proximate options based on, say, geography, archeology, chronology and mixture modeling. Indeed, using various criteria, I've chosen three individuals who sit along the Mycenaean to Eneolithic/Bronze Age steppe cline in the above PCA and might plausibly represent the precursors of the Proto-Greeks, or close relatives thereof. The first two are from Mathieson et al. 2018 and the third from Olalde et al. 2018. 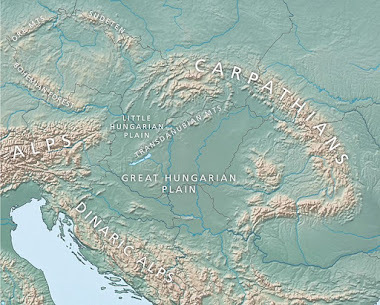 - but if they came from the Yamnaya horizon via the Carpathian Basin, which, I'm told in the comments here, is also a serious option, although admittedly I've missed it in my reading, then they may have been similar to Proto-Nagyrév individual Hungary_BA I7043, who belongs to Western European-specific Y-haplogroup R1b-L51, a marker fairly common amongst modern-day Greeks. And here's a mixture model for the Mycenaeans, using the Global25/nMonte method (see here and here), and the above trio as potential reference samples, alongside Anatolia_BA and Peloponnese_N. If this is just an artifact of the method, then it's a really nice one. But who are your main candidates for the precursors of the Proto-Greeks in the ancient DNA record to date? Feel free to let me know in the comments. 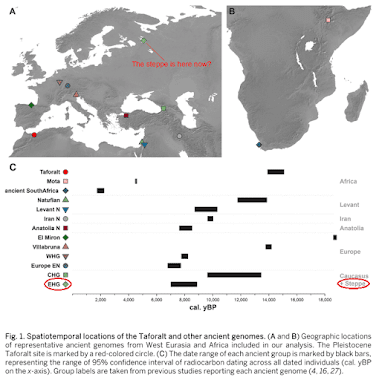 This is where the three Czech Corded Ware samples from Olalde et al. 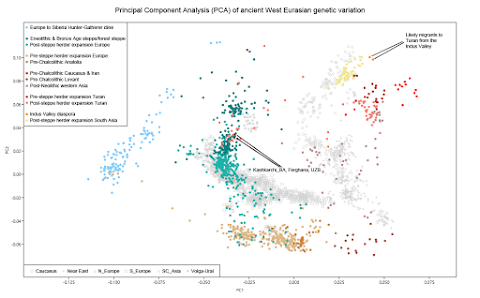 2018 cluster in my Principal Component Analysis (PCA) of ancient West Eurasian genetic variation. The two individuals belonging to Y-haplogroup R1a look like they might be straight from the Pontic-Caspian (PC) steppe. That's because they're sitting right next to an Eneolithic sample from the North Pontic part of the PC steppe, in what is now Ukraine, Eastern Europe. This guy, from Mathieson et al. 2018, also belongs to R1a. And if they're not totally of steppe origin, then clearly they both only have minor ancestry from outside of the steppe. On the other hand, the third Czech Corded Ware individual, who belongs to the "Old European" Y-haplogroup I2a2a, actually shows no signs of steppe ancestry, because he clusters with Middle Neolithic Central Europeans. 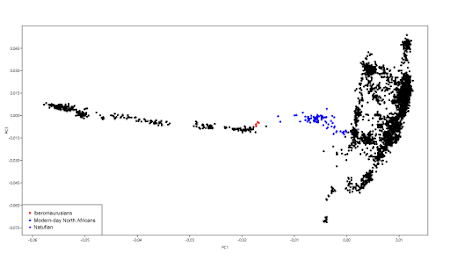 Indeed, I can test all of this with the Global25/nMonte method (see here and here), using the Eneolithic North Pontian and Samara Yamnaya as steppe references. But what does this mean? Well, obviously that the R1a in Corded Ware people is not from the PC steppe! Nah, I'm just messing around; poking a bit of fun at the dumb trolls online still arguing, against all odds, that the steppe ancestors of the Corded Ware people did not carry R1a. But let's just move on, shall we, because there's no longer any doubt that the R1a-M417 subclade of R1a, which encompasses almost 100% of the R1a lineages in the world today, expanded from the PC steppe with the forefathers of the Corded Ware folk. For one, it's found in the aforementioned Eneolithic North Pontian, and two, in the oldest and most steppe-shifted Corded Ware individuals. So that's that.